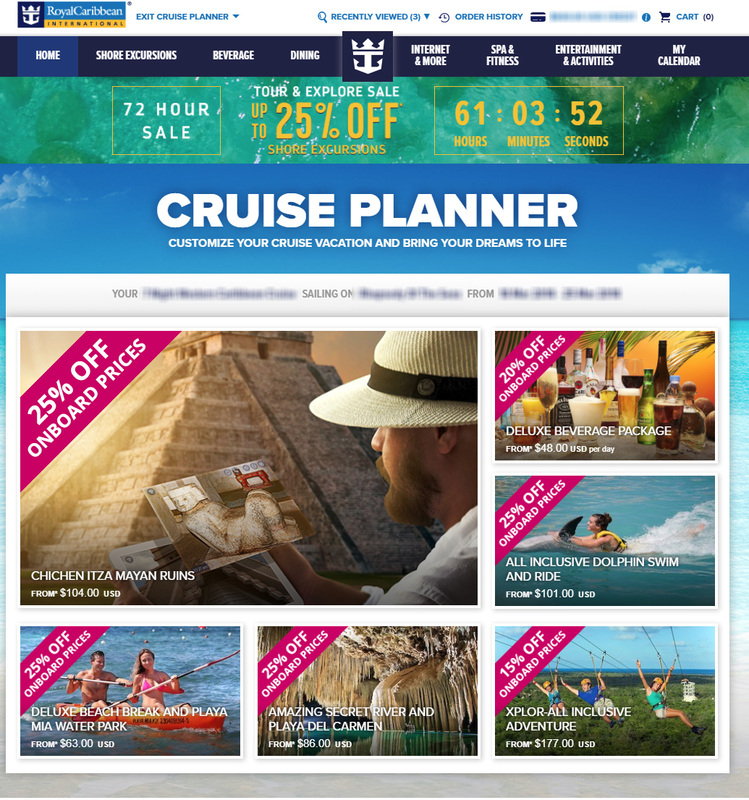 Royal Caribbean has kicked off its 72 hour Tour & Explore Sale, with up to 25% off select shore excursions booked through the Cruise Planner. Guests on qualifying sailings may find 15%, 20%, or 25% off onboard prices of select excursions via the Cruise Planner site. Offer applies to select sailings departing March 13 - October 29, 2018. Keep in mind that not all sailings may see the sale applicable, nor are all offers significantly cheaper than previously posted. Based on the countdown timer, the sale will expire at midnight on Sunday night.